You'll be able to depend on this freestanding gas range featuring electronic ignition to start the first time, every time. Controls are easy to use for simple operation. 4 cooktop burners deliver 9,100 BTUs of cooking power to meet your cooking needs. 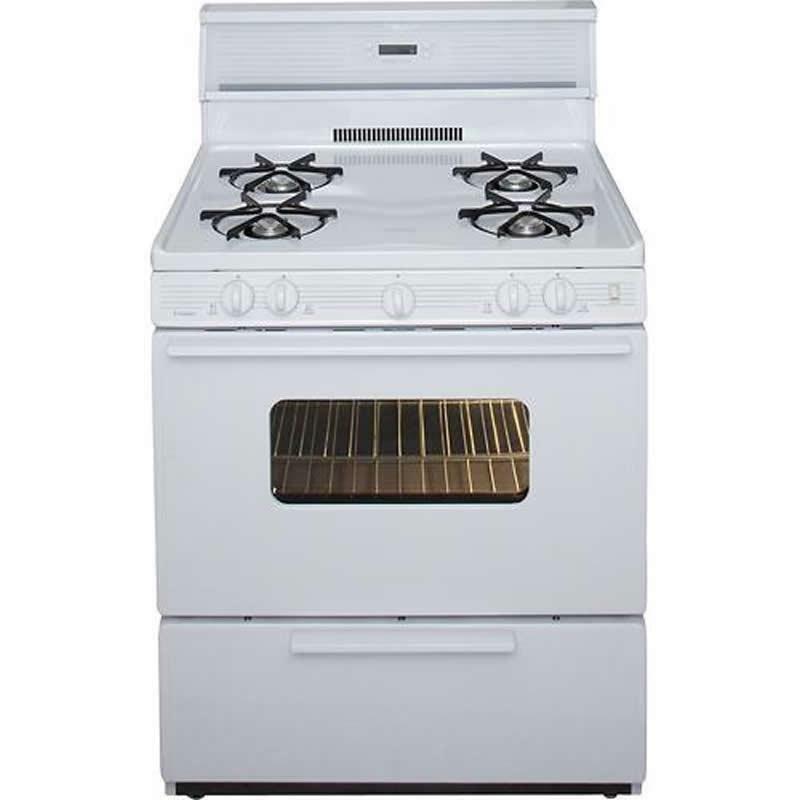 Additional Information Electronic ignition; Broiler drawer; Porcelain grates; Oven window; Interior light. Burners/Elements Output 4 of 9,100 BTU.